… Isn’t even the question. I think we’ve finally made it in American Politics. After months of dressaging through tertiary concerns, we are finally about to have an election that is based on some of our nation’s true problems. President Obama’s now infamous quote “You Didn’t Build That” quote is being milked by the Romney Campaign and the RNC for every last drop of relevance. The simple fact behind this statement was that’s it’s a quarter-gaffe that is taken out of context. But being the GOP, I can understand how the quote, when manipulated properly, gives them some traction. So be it. Instead of focusing on Obama’s two sentences, let’s skip the politics and have the real debate… Small business owners, did you or did you not “build that”? Let’s face it… When a person builds a business from the ground up, it is their business. They conceived it, they researched it, they made it happen. On the individual sense, that business wouldn’t exist without the actions they took to get it there. No one understands this better than those that have to go through the process. That’s why the process of small business creation is so important to the American economy. We survive and thrive on the ingenuity and hard work of our people. But no matter what others say to the contrary, they didn’t build that business alone. Why? Because a real business is too complex to be able to do by yourself. The American economy is also an ecosystem… a network of interdependent parts. You may have built the business, but you didn’t build it alone. A mother carried you, parents fed you, teachers taught you. Someone helped you along the way to plan, design and finance the business. Someone helped you with the long hours to get the store ready or babysat when you were away. A business is just too important to be accomplished entirely on the back of one person. Other people invested in your business directly, or by simply investing in you. Take the example of one of the greatest American businessmen of the 20th century… Sam Walton. He built Wal-mart, the largest general retailer in American history. But even he didn’t build it alone. Mr. Walton had many great people along the way to help him, like his teachers at the University of Missouri where he earned his business degree. He worked for JC Penney in Des Moines, IA to gain his first experience in retail management. His father-in-law loaned him $20,000 to acquire his first Ben Franklin store franchise, and later went into business with Walton again when he was ready to expand. But you know who else “built” Sam Walton’s retail empire?? His customers in Bentonville, Arkansas. Some worked for the government, some worked for other private companies. But by shopping in Walton’s store, enjoying the goods and service and encouraging others in the community to shop there, they helped create the giant that we now know today as Wal-mart. Make no mistake, without Sam Walton’s initiative and perserverance, there would not be a Wal-mart today. He’s the most important link in the chain. But still he’s not, and has never been the whole chain. In my opinion, that is the moral of the story. In today’s American Politics, the public and private sector are fighting in a duel to the death. But if we are ever going to survive and truly thrive as a nation, we have to bring the public and private sectors together again. Both must be healthy for the United States to have a growing economy. In the uncharted waters of the 21st-century, public-private partnership is more important than ever. It’s time for us to wake up, and work for the good of all Americans, before it’s too late. The question is not whether or not you “built that”, but whether or not WE can still build it. As Americans, I know we can, and I know we will. The Republican Party’s greatest asset is unquestionable… Loyalty. The way that the GOP can stay lock-step with it’s leader and deliver a unified assault is something Democrats have never been able to muster. They have mastered a fierce sense of discipline that is enviable even if you disagree with their political position. But in 2012, that loyalty is now faces its greatest test in presumptive Presidential nominee Mitt Romney. Unlike John McCain, George W. Bush and many GOP leaders of the past, Mr. Romney has one big gaping character flaw… he’s a liar. I know many people that aren’t paying attention to this race say that the blame is shared by both candidates. I get that… Mr. Obama has lied about some things too, and he’s certainly fallen short of many promises he made from the 2008 campaign. But even still, there is a marked distinction that must be made here. With Obama, he has to at least find explanations for most of the things he says to the American People. One example are the promises of how he was going to improve the economy. Many of those things were actually accomplished under the Democratic Congress, such as a Wall Street reform bill, and the credit card Bill of Rights. Oh yeah, and that little healthcare law that will have long-reaching economic impact. For many of the things he didn’t accomplish, the President can at least say that he tried. And I mean that in all seriousness… remember the American Jobs Act?? It was ripped to shreds by Congressional divisiveness. In my opinion, our nation’s record on jobs is far more a failure of Congress (like so many other issues of today) than it is the President, so it’s difficult to say that he “lied” about the jobs promises. With Mitt Romney, lying is on a completely different level. I know the words are harsh, but we have to be candid. Clearly Mr. Romney seems to be a good man with a beautiful family, and he’s certainly successful. But even “good people” can be chronic liars. And the sad truth of his campaign is that every step of the way he has lied to suit his (and the party’s) rapidly changing interests. His method of lying goes far beyond campaign promises that are often shot into an uncertain future anyway. With Mitt Romney, we have to question every single aspect of his character as a man. Everything he says is shrouded in lies, and he does it so frequently that he won’t even apologize or explain them. As a result, he really has become this fictional character that was pieced together through hearsay and fable. Romney is something of a Frankenstein of lies, or as I have now deemed him, “FrankenMitt”. His fellow Republicans know this, as they are the ones who first called him out during the GOP Primaries. And as Rachel Maddow pointed out in this clip from March, they did not soften their accusations. Here’s the problem this represents. Pretend as they may, Republicans know that Mitt Romney is one of the most prolific liars in American political history. We’ve all known this since the Primary race, but for some unexplained reason, this rouse continues. They try to make sense of the situation by saying “Obama lies too” or “all politicians do this” but at the same time they know deep down that Romney’s lies are on a grand scale for even the worst of the worst. For a party that relies so heavily on loyalty and conviction, GOP voters are being forced to take a pill of “anything but”, and hope that somehow it will carry them through election night. But as mounting pressure grows, they know that the days are numbered before Americans learn the truth. So the Pro-Romney folks are forced to go on, stripped of the dignity and pride that carried them through the massive red tide of 2010. The Ron Paul voters (the last few hold-outs against Romney) are now being beaten into submission, and what little enthusiasm they had is sure to go away as well. So what’s left is a jaded party that will never be the same, regardless of who takes the Whitehouse in November. Make no mistake Republicans… Romney’s the one who jaded you. For Mr. Obama and Mr. Romney the heat is on, whether that be the heat of summer, or the election. But as “interesting” as the biting between these two men can be, I’m continually led to a question. Are we focusing too much on the Presidential race? I’m inclined to think so. Take all of the mishaps that have occurred in Congress since President Obama was elected. 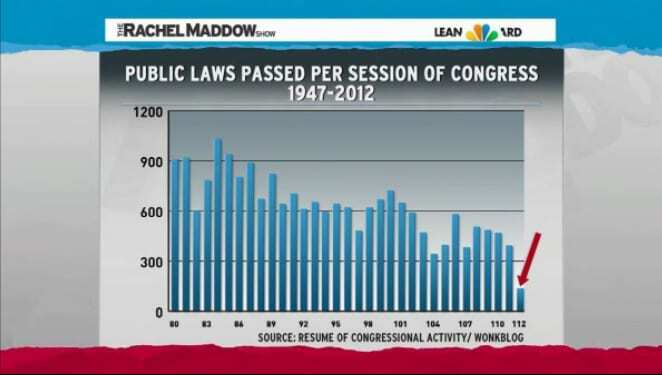 The President is NOT a member of Congress… he no longer votes on legislation. He also cannot the agenda of legislation for the House and the Senate. If you think of a football game, the President is a coach. No matter how much he wants to at times, he can’t run into the field, take the ball and run it through to the endzone. He stays on the sidelines. Now he can yell, shout and turn over some chairs, but he’s not allowed to play. So the question remains… if he’s not playing the game, why must all the losses be blamed on him? He’s not in CONGRESS. He can’t vote on legislation. And, thankfully for the GOP, he has no way to stop them from fouling up every initiative that Democrats have tried to pass. We know that nothing’s getting done in Washington right now, but for some strange reason, Americans want a singular figure to be representative of the blame. That almost, always turns out to be the President. The 112th… our current Congress… is at the very end. Even when compared to the other very low numbers, this Congress hasn’t passed half the amount of legislation as the others. Simply put, they are not doing right by the American People. We elected them to PASS LEGISLATION, and they’re not doing it. Everyone is upset that the job market is sluggish, but no one wants to talk about WHY it’s sluggish. Take a look at the chart. If the members of Congress were doing their job… the job we pay them to do… more Americans would be able to do THEIR jobs and not worry about the “Congressional Cloud of Uncertainty” that swirls around us. The reason why hiring is so sluggish is because small-business owners have no earthly idea what the government is going to do. Are taxes going to go up or down? Will we be in a recession next year, or not? Will I have to pay for all of my employee’s healthcare, a part of it, or just incentivize them to buy their own. Business owners across the country are frustrated, because of the uncertainty. But here’s the critical thing to understand… most of this uncertainty has been caused by the GOP, NOT the President. The Supreme Court has ruled, and the Healthcare lawsuit is now OVER. The Affordable Care Act (what many refer to as “Obamacare” is national law. But if you listend to GOP Congress members, you’d think it was just one of hundreds of bills still being wrangled about. The way they talk, everything that has occurred during the Obama administration is up for debate. All of this belligerence and devisiveness grows the cloud of uncertainty. So here’s my take… If you’re a Democrat, and a supporter of the President and Democrats, you have to keep some attention on the misbehavior within Congress. 33 votes to repeal the ACA? That’s WASTEFUL… it wasted America’s time and America’s money. The House could have voted on JOBS legislation during that time, and more people could be working today. They continue to block desperately-needed state and local funding to keep our roads repaired and good educators in our schools. Caught up in all of the partisan wrangling are US Postal Workers and public employees whose jobs are literally being funded month-to-month thanks to Congressional ineptitude. If Democrats and President Obama have any hope of re-election in November, this case must be made loud and clear. Let’s all tell Congress to GET TO WORK!! What do you think? Did this one go too far? Ok Texas Democrats… we’ve got some work to do. If you haven’t noticed, there is an election for the United States Senate going on, and the GOP candidates are in hot pursuit. Texans can’t go 5 minutes without seeing mud-slinging against Ted Cruz or David Dewhurts on their TV and computer screens. Forget the national election… in Texas, their primary is the battle royale. The good news is, most of those ads will stop after the July 31st Primary Runoff is over. But the Democratic Primary is also going on. Though it may lack the constant bludgening of the GOP side, a very important race is being held between Paul Sadler and Grady Yarbrough. Here’s my take. By contrast, Grady Yarbrough has no legislative experience. 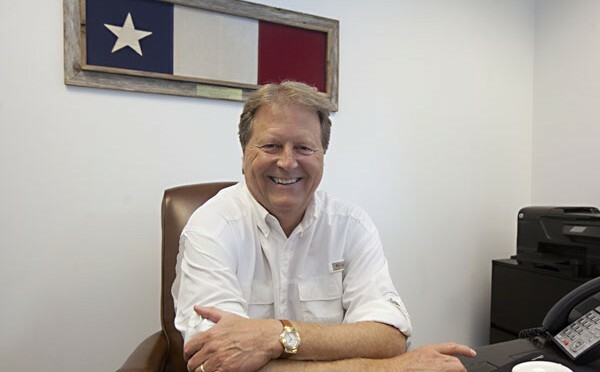 Though his work as a life-long teacher is certainly commendable, he remains something of a “great unknown” to most Texas Democratic organizations. 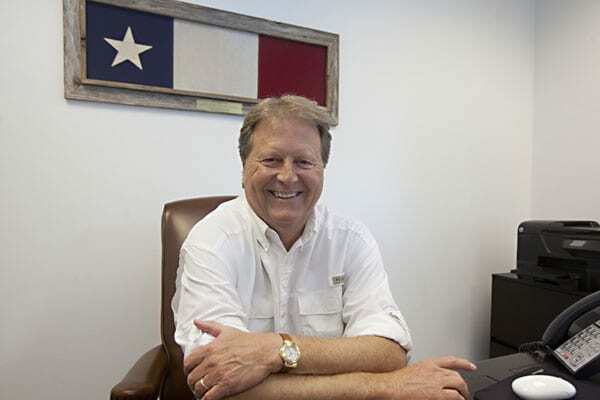 Most importantly, he has not shown any indication or ability to compete with Dewhurst or Cruz on the state-wide level. Of course any man that garners over 100,000 votes in the Primary election deserves honorable mention. For these reasons, my full support is going to Paul Sadler. So Democrats, it’s time to saddle up, vote in this week’s Primary, and get ready for the general election! As Chris Hayes recently mentioned on his show Up With Chris Hayes, Mitt Romney seems to have quite the faulty memory about his ability to profit from and exploit tax-payer funds. This ABC news report shows Romney downright boastful of how much federal money he was able to procure for the Salt Lake City games. As much as he would like to state otherwise, Romney receieved more than $1 Billion dollars in federal funds. Yet this is guy running around the country touting his private experience, and saying that he didn’t have to rely on government for help?? Give me a break. If lying were an Olympic event, Mr. Romney would certainly win the gold. And then ship it to the Caymans for “safe-keeping”.